Daniel Duval is a great interviewer. He has interesting guests and is eager to challenge his guests (he throws curve balls, not soft balls!) We cover a lot of ground and get into considerable detail about imminent events in Bible prophecy and how they will impact America. We spend 100 minutes together discussing the powers and principalities behind Gog and Magog, the daughter of Babylon, the Prince of Persia, and how they have influenced present day geopolitical events. 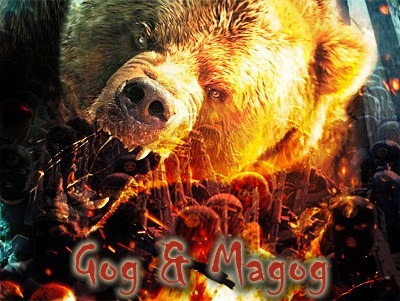 Is the Russian Bear Gog and Magog? Several persons have encouraged me to push harder to make sure everyone “within the sound of my voice” (or the reach of my social network!) listens carefully to this interview. An added treat, it is presented on YOUTUBE and incorporates some great visuals from a slide deck I created for my presentation at the Pike’s Peak prophecy conference. So I encourage you to watch it on YouTube and watch the slides as we talk. Get the popcorn out and enjoy! For the interview on YouTube. Click here. Does Russia have he nerve to conduct a first strike on the U.S.? 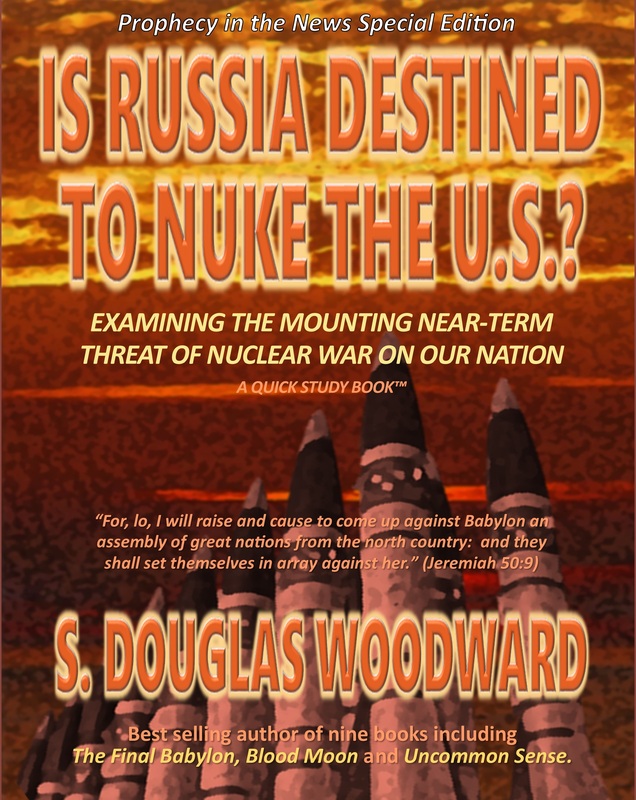 Could the U.S. attack Russia with nuclear weapons? What is the military strategy of the West vs. the East? What is the meaning of the interplay between Russia and China? Is the dollars really going to collapse? If it did, what would Russia and China do to manage the economics of the world? Who is the better leader, Vladimir Putin or Barack Obama? If Putin is Gog and Russia is Magog, leading the enemies of Israel, would they attack the U.S. at the same time they attack Israel? Who is the land of unwalled villages? The merchants of Tarshish? Sheba and Dedan? Is the conventional argument wrong? What does Ezekiel mean when he talks about Gog coming from the extreme recesses of the North? Why do the prophets, Joel, Ezekiel, and Jeremiah all talk about enemies from the north attacking Israel and the Daughter of Babylon? Does this connect the events (the attack on Israel and the attack on the daughter of Babylon)? God protects Israel… but he does not protect the daughter of Babylon. How is Gog and Magog in Revelation 20 the same as Gog and Magog in Ezekiel 38-39? How are they different? Do these wars happen at different times? What do the visions of so many (like Dmitri Duduman) tell us about the likelihood of America’s destruction? Are these visions to be believed in their details? What does the Iran deal mean to the U.S. in like of Bible prophecy? Has the Burden of Damascus already been fulfilled? How should we understand the fulfillment of Bible prophecy, its timing in respect to “timing words” (i.e., “day” as in “destroyed in a day”, the “day of the Lord”)? Should we support Israel even though it was established in large part by Zionists? America was established by Free Masons too; so is America the New Atlantis? Is America a Christian nation? Does God reject both Israel and America due to these mystics that founded our nations? Did illuminists really endorse and support the creation of the United States? Did George H.W. Bush believe the New World Order could be instituted once the Soviet Union faltered in 1991? Is the U.S. the primary protagonist of the NWO? Are the great families of the world really battling over who controls the NWO? Are the Romanovs dueling with the Rothchilds and the Rockefellers? Is the NSA really listening to all our conversations? Do we live in a corrupt society? Is America fascist? Should we rather live in Moscow or Beijing? Should we flee America? How many Jews live in Babylon (in Iraq) compared to the U.S. (Zero compared to 6.5 million)? Which Babylon do the Jews flee from? Here is the interview on YouTube. Click here. If you like the interview, spend some time with the articles on this site. Here are links to some of the articles… there are many. Why a Bad Russian Economy is Bad News for the U.S. Previous PostALL SIGNS POINT TO U.S. PROXY WAR IN EASTERN EUROPENext PostTHE TRIGGER EVENT FOR WWIII?